Byrant MacGill is not just an author but also an activist, speaker and an aphorist. His aphorisms along with writings can be found in more than hundred books and are used abundantly in newspapers as well, TV programs, political speeches as well as library and university publications. He is the founder and the Goodwill Ambassador of the Goodwill Treaty for World Peace which has Ben Affleck, Montel Williams, Matt Damon, Don Cheadle and Ray Romano as the initial project signers. 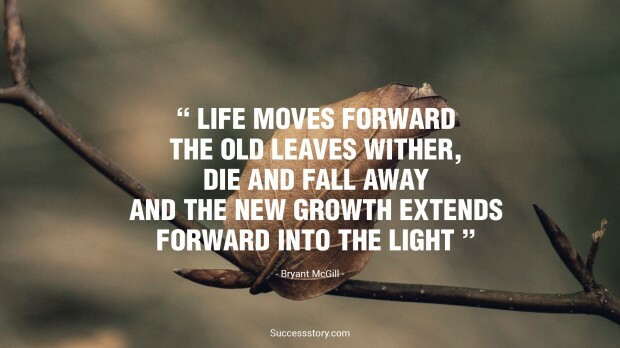 "Life moves forward. The old leaves wither, die and fall away, and the new growth extends forward into the light." How to Retain Your Best Employees?